Generally speaking, an employer will not have any reporting requirement if it has fewer than 50 full-time and full-time equivalent employees in its controlled group and it sponsors a fully insured medical plan. All other employers will have at least some reporting. This appears to include employers with 50 to 99 employees for 2015 – even though the employer-shared responsibility requirement has been delayed until 2016 for most employers in this group, reporting is still needed to help determine whether individual employees owe penalties or are eligible for premium subsidies. Employers with 50 or more full-time or full-time equivalent employees in their controlled group – whether the coverage offered is fully insured or self-funded – will need to complete both Part I and Part II of IRS Form 1095-C. This form will be required for each employee, regardless of whether the employee is eligible for medical coverage. Part I includes basic identifying information. Part II will be used to determine whether minimum essential, minimum value and affordable coverage was offered and accepted. This data will be used to determine whether the employer owes penalties for not offering minimum essential coverage (these are sometimes referred as the “A” penalty or the $2,000 penalty) or for not offering affordable, minimum value coverage (these are sometimes referred to as the “B” penalty or the $3,000 penalty) and if the employee is eligible for premium subsidies. The employer will use one of several codes to report whether it offered coverage to the employee, and the extent of the coverage it offered. The employer also will report the employee’s share of the lowest cost monthly premium for self-only minimum value coverage for which the employee is eligible. Finally, the employer will enter codes that the IRS will use when determining if a penalty is owed. Those codes address whether the employee was eligible for coverage during the month, including whether the employee was employed, classified as full-time, in a waiting period or covered. If the employee was covered during the month, the employer will report whether coverage was affordable and which affordability safe harbor was used. In addition, employers with self-funded plans will complete Part III of Form 1095-C. Part III information will be used to determine whether the employee’s family met its requirement to have minimum essential coverage. 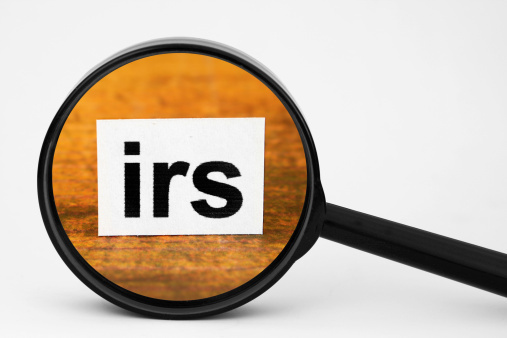 Information that is similar to the information provided on Part III of Form 1095-C will be provided by the insurer to the employee using IRS Form 1095-B. Form 1095-B will report whether the employee and the employee’s spouse and children had minimum essential coverage for each month. This means that an employee who works for a mid-size or large employer that provides coverage on a fully insured basis will receive two forms: Form 1095-B from the insurer and Form 1095-C from the employer. For a summary of the draft IRS employer and insurer reporting forms, download UBA's PPACA Advisor, "IRS Issues Drafts of Individual and Employer Responsibility Reporting Forms."